RetroArch 1.3 was just released for iOS, OSX, Windows, Linux, Android, Wii, Gamecube, PS3, PSP, PlayStation Vita and 3DS. We have ported Reicast over to the libretro API. 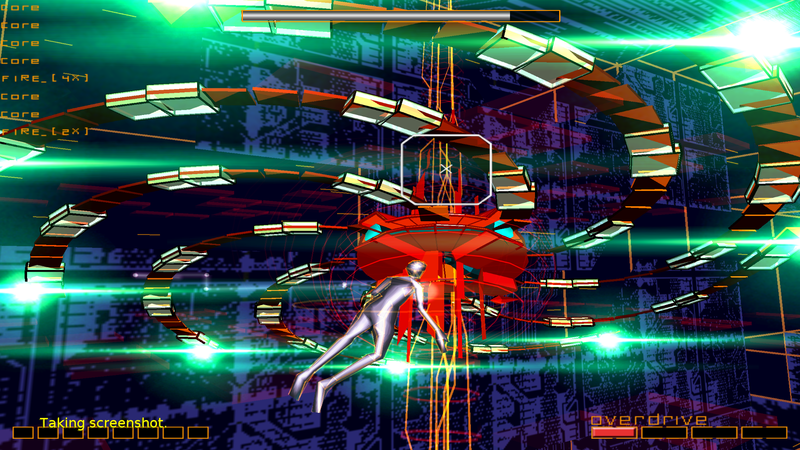 This is a Sega Dreamcast emulator. Right now, it runs on OSX, Windows, and Linux (64bit Intel only for now). Over the next coming days/weeks we will be porting it to Android and iOS as well and making it work for 32bit Intel too, so keep watching this space. There were some improvements made over regular Reicast. Render To Texture features are enabled (they are disabled by default in Reicast), which means that certain effects like the heat room in Resident Evil: Code Veronica and the pause screen in Crazy Taxi render correctly. 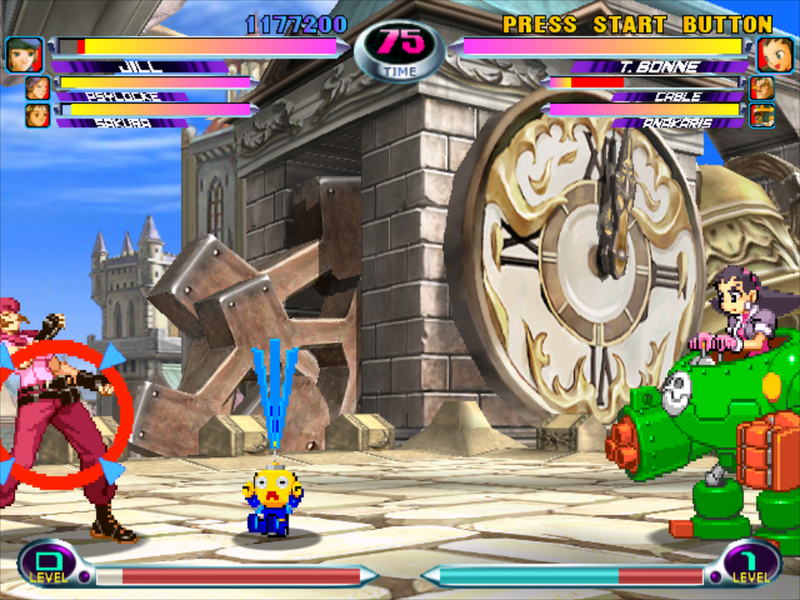 A bug got fixed which led to a bunch of sprite tile glitches in Capcom Vs SNK 2. We added a workaround so that Marvel Vs Capcom 2 no longer crashes (by detecting the game and changing it on the fly to rec_cpp). We made the x64 dynarec work on OSX which wasn’t working before. 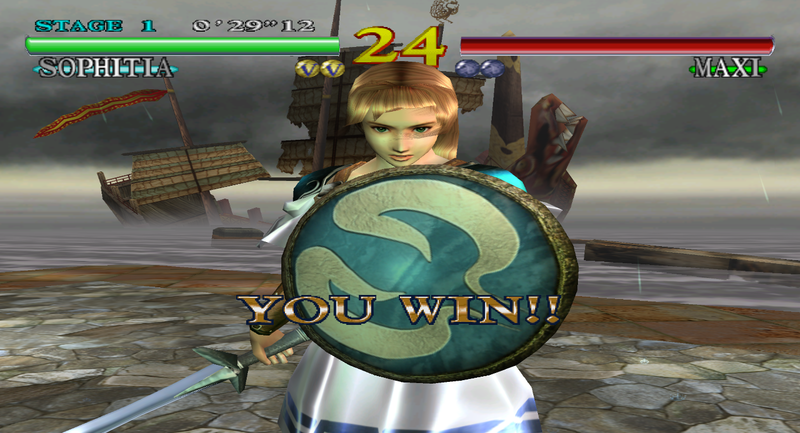 We implemented a workaround for Soul Calibur (whitelisted for OSX/Linux only for now) that should prevent some of the Z-fighting. 1 – Reicast NEEDS BIOS files. You can run it without BIOS files but the success rate is so low that we really stress you always use it with bios files. The BIOS files go inside <system directory>/dc. If you have not set up a system directory, then it will look for a folder called ‘dc’ inside the same directory you loaded the ISO from. 2 – Make sure that ‘Shared Context Enable’ is enabled in RetroArch. To verify this, go to Settings -> Core -> HW Shared Context Enable and make sure it says ‘ON’. If you don’t do this, you might find that there are severe graphical glitches or that nothing even shows up at all. 3 – It should be stressed that the 64-bit dynarec for x86_64 is a lot slower than Reicast’s 32bit dynarec. Right now, the Reicast libretro core on PC is only available in 64bit form. When the 32bit version comes out, you might want to try it on a 32bit version of RetroArch too, it might give you a big speedup vs. the current 64bit version. I fully intend on doing more work on Reicast once we have these releases out of the way. Starting with version 1.3, RetroArch is now available on PowerPC Macs running OSX. You need at least MacOSX 10.5 (Leopard) to be able to run the PowerPC version of RetroArch OSX. I have included the cores which are known to work so far with the RetroArch bundle itself since we don’t yet have OSX PowerPC cores on our buildbot. There is also a RetroArch version available now for PlayStation Vita and PlayStation TV. To use this, you need to use the (still quite impractical for daily usage) Rejuvenate jailbreak. No better jailbreaks are available as of this time, sorry. We will continue fleshing out this port for when a more mainstream jailbreak comes around. The Nintendo 3DS version is in a satisfactory enough state to be released now. It has received quite some attention on the Internet already. For instance, some of our cores (like dosbox libretro) has received quite some attention in the press. Others have been impressed by PCSX ReARMed being able to run on 3DS. Overall, the 3DS version has made quite the splash. You will get the best experience using a New Nintendo 3DS since it has a much faster CPU than the regular 3DS. All of the cores available for 3DS will benefit from this bump in specs. Remember all that talk about RetroBox last year? RetroBox has now turned into Lakka. With Lakka, you can turn nearly any ARM or x86 hardware into a fully-functioning retro videogame console capable of running countless games with a very nice userfriendly console user interface. We strive to make it as plug-and-play as possible so that you are not reminded at any point in time that this is actually a PC running Linux. Startup time is very quick (less than 5 seconds is a conservative figure), and in most cases we use DRM/KMS graphics drivers to ensure the best possible latency given the hardware. The entire user interface is gamepad controlled, you don’t have to bring a keyboard and mouse to this thing, it should be as plug-and-play as possible. Please check out our sister project’s website here: lakka.tv. It’s quite overwhelming the amount of ARM hardware and HTPCs that Lakka can run on. This is our antidote and answer to the kind of ripoff RetroArch Android boxes that have begun to pop up like Retro Freak and Retron5. The only thing we lack yet obviously compared to those is reading from the original cartridges (inso far as that is important), but we encourage developers to contribute to the project so we can build it up to have support for that too. In the end having something that you can get free of charge and bring your own hardware to it is in your own best interests vs. these kinds of retro hustles. For the more technical minded, I can’t stress this enough: you are getting an inferior experience emulating on some underpowered Android SoC the likes of which are in these el-cheapo devices that are nevertheless sold at huge markups, you’d very much want to bring your own hardware and run Lakka on it for the best experience and also so that you aren’t held hostage by the hardware itself with forced firmware updates crippling what you can do with the hardware. In most cases we use DRM/KMS drivers with Lakka, so you don’t get the overhead of an X11 server to begin with. What little we lack in terms of spit and polish we hope we can fix with some collaborative effort. RetroArch is available for both 32bit and 64bit Macs running OSX. RetroArch is available on iOS, both on iPhones and iPads. You can use the Cydia version if you are on a jailbroken device, otherwise you will have to sideload it yourself on your non-jailbroken device. The user interface got a total overhaul (see ‘Revamped User interface’). Numerous bugs were fixed. I removed the camera and location API permissions, these were experimental augmented reality features which in hindsight were not really worth it to have to release several different APKs for and it was preventing us from being able to appear on Android TV. It was only ever used in one test core which wasn’t even available through the buildbot anyway so it was just a big inconvenience in the long run. I know the v1.2 release did not go over well with Android users and there was a lot of criticism. I hope that with v1.3 we are able to win some of these users back. Needless to say it has been hard making RetroArch less CLI-focused but I think it’s finally starting to bear fruit. You can get the Android version either from the Google Play Store or (better yet), through F-Droid. F-Droid is a really convenient way of being able to run RetroArch. As soon as we push an update to the code, F-Droid within no time will inform you an update is available and allow you to upgrade to the latest version. This makes it possible for you to update RetroArch daily without having to wait for a while for some stable version to come out. The PS3 version features some big changes. MaterialUI and XMB are both available now as menu drivers. The XMB menu driver is now enabled by default. Libretro database support is in, and things should generally work fine. I released only the DEX version. PS3 sceners can take the DEX release and create a CEX version of it. Wii and Gamecube ports are the same as ever. More work is needed on the USB HID part of RetroArch Wii before we can reliably use the DualShock3/4 and other USB pads. The PSP version has been updated. There are no big changes to mention for this port. Both PlayStation1 and PSP games can now be scanned. Once the games are scanned and identified inside the database, they are added to a system-specific playlist. This makes it easy and convenient for you to start these games by just going to the playlist and selecting them instead of having to go through the filesystem and manually select the file again. There was a ton of criticism about version 1.2’s user interface on mobile devices, like Android. We have decided to give it a makeover. It now resembles a Material Design user interface and some of the annoying display bugs were fixed on Android. It now also has tabs at the bottom which you can touch. This can quickly take you to the playlists and/or settings screen. XMB has also received a makeover. A bunch of actions now have their own tabs inside the horizontal menu. For instance, you can now scan for content by going to the ‘Add’ tab and selecting a directory instead of having to navigate through a bunch of menus. The history list is also now on a separate tab, as is the settings themselves. We don’t like to brag a lot and we don’t like self posturing. Nevertheless, RetroArch and libretro is definitely starting to become omnipresent. Plenty of people have used it in some form or another without even being aware of its name or its existence. For instance, there have been plenty of projects unrelated to us or the team (like NewRetroArcade) which were actually just libretro frontends implementing the libretro API, and the popular Raspberry Pi distribution RetroPie for instance uses RetroArch for a lot of the videogame emulation it provides. Not everything has gone according to plan. We had to do a very substantial rewrite this past year that has definitely been daunting and some of you noticed that things didn’t progress as fast as we’d like but we are finally out of development hell again and ready to fire on all cylinders again. There will never again be another half a year delay in development due to endless rewrites. RetroArch 1.4 (the next version) will bring RetroArch to two new platforms. There will be a tvOS port, and there will be a Windows Runtime (WinRT) port so that RetroArch can run on Windows Phones among other things. Those are the two big porting endeavors I will be busy with. I hope to get something substantial done by end of February/March, but don’t hold me to that. There will be a new user interface as well added to the mix that will cater more to people used to point and click-based interfaces. We showed some screenshots before of the ‘Zarch’ interface we have been working on, and there is also a ‘Hexa’ user interface which might make it out of the prototype stages as well. There will also be a lot of new cores. In fact, cores are being updated and added daily through the cor e updater, so definitely keep watching that space. You don’t have to wait for version 1.4 in order to be able to use these new cores. well, vista and xp are low priority by now. The Windows version is going to get a ninja update so that it can run on XP again, and I presume Vista as well. Great work as always! Thank you for the best mutli-emulator out there! Awesome stuff, excited to give the PS3 port a go. I’ve tried to download RetroArch from F-Droid for a long time, but I can only find version 0.9.9.6 in the “archived” repository. Do I have to add any other repository to download a newer version from there? When I read the article, I supposed it only included the links to download the binaries, but I’ve seen it’s got extra information. Now the app is up-to-date, thanks! core update not working for me – says failure to download .index. hi radius4 – I am on windows7. I tried a bit later and it worked – downloaded the reicast core ok, but i can’t seem to get it to work with cue/bin – does it need a chd file? Awesome! I still can’t get the Light Phaser to run on any core (Android version), so it’s useless for me. what is a light phaser? https://www.youtube.com/watch?v=8lg1YYnbqng – Also Sega used Zillion anime series to promote it. Well… it seems to be just a regular smartphone… it doesn’t happen on many other devices so I dunno what to say about this. seems to work at 80ms latency, thanks so much! How do you compare libretro core versions to that of the emulator they are based off of? For instance, you have reicast now. However that core equals which build from the actual reicast? The same thing goes for things like MAME core. Is MAME core the latest .169 version? An older version? How to know? Where are the core changelogs posted? Go through the sourcecode, you cannot expect core changelogs, it would take far too much time to do. And cores are updated in real-time whenever changes are pushed on the buildbot. Even Microsof is no longer going to provide details for Windows updates since it is too time-consuming, and that is a billion/trillion-dollar company, not a core team of say 5/6 members. Dolphin emulator publishes all code commit comments. Go look here: https://dolphin-emu.org/download/ after every build # you can see what changed. You can even go in and see the source code diffs. Microsoft also publishes all their details on each and every patch. 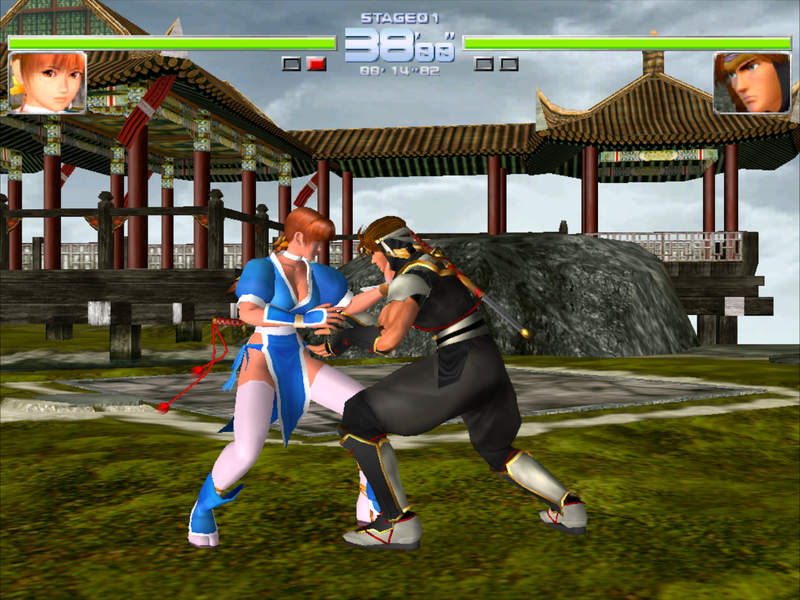 What I’m looking for is to understand how to match a libretro core to the version of the emulator it is based off of. MAME is a perfect example. Can I use a brand new .169 ROM with the libretro MAME core? Who Knows, cause nothing is published about which version of MAME the libretro core is based off of. For all I know it is based off of .121 of MAME. How does one find this out. “Based off of .160 MAME source”. Then a later commit might be “updated to .165 MAME code base”. So if your looking to use any new roms available past .139 version of MAME, use actual MAME instead of retroarch. Exactly what I was looking for! Those are all the MAME libretro cores available. Regarding the update notes: feel perfectly free to contribute to the project and provide those notes, I have enough stuff to do as-is and an open source project is meant for collaboration, not for one person to do all the work on demand. Howdy. I upgraded to RetroArch 1.3 on the Nintendo Wii hoping that the FBA CPS1 and 2 cores would’ve been fixed, but I still notice that some Capcom games like Aliens Versus Predator and The Punisher still won’t play on them. Other Capcom games work on it, but I haven’t found anything else on why RetroArch does not seem to play these games on the Wii. Is there anything you can tell me on it? Is there a better way I can get an answer for my inquiry? Haven’t found much help on Google or related emulation forums. well, it’s as I said, most of the cores weren’t really touched. The v 0.98 can run Predator and The Punisher… flawlessly. Thanks for the awesome FREE work. The Dreamcast core is working great for me except for one issue: Can you post a method for reformatting the VMU? I get the same message for each game indicating that the VMU is somehow full so I can’t save anything (also won’t save the date/time). I get the same issue. Running Windows 64 bit version of RA 1.3. Hi devs I have problem with the menu on my Archos Gamepad 2, touch does not responds correctly that I can’t select anything, can you help? Using the nightlies that work on Vista. I can’t stress how grateful I am the command line log window is no longer mandatory and that PSX has a proper playlist. Reicast works surprisingly well despite current 64-bit slowness. Keep up the good work! For some reason I can’t map any controllers on my Android TV (Razer Forge). My Razer OUYA XBOX and Flirc do not work (some of them have A and B working, but otherwise nothing). So I can’t navigate the menus to map them. I plugged in a USB keyboard and that didn’t work either. Maybe when the user has an unmapped controller, the controller map dialog could come up automatically? I really want to be able to use this. Any ideas? Can’t sign up to the forums. Keep getting an error message stating: Image verification could not be verified due to server issues. Please try again later. I have a aftv and on version 1.3 its impossible to set up, gamepad wont bind and need a keyboard and mouse to navigate, any one has had luck on aftv? Great work on the emulator and releasing on so many platforms. However, I can’t help but think the support is really lacking. I can’t get RA to work at all on my jailbroken iOS device and can’t find any support for it. A bit frustrating – I understand it’s a niche device in the great scheme of things, but an FAQ would be super useful at least. Like, why does Retroarch only show zips in my library and not the ROM files? Awesome job! Any chance of Retroarch in PS2? Please fix the captcha so I can join the forums? Since this update, my wireless Gamestop controller no longer works. The controller still pairs and connects properly with my Droid Ultra and RetroArch still allows me to bind buttons to user 1’s input, but I can neither navigate menus with my controller as I previously could or play games with it. The inputs are still bound, but ignored. I’d also like to know why the slow button does not function like the fast forward button and simply toggle on/off. Is this just a technical limitation? I tried a lot but it just wont work … i had 1.2.2 for my fire tv stick running and working … uninstalled it and installed 1.3 … now i cant open any of the downloadable content (donkey kong, mario, …) all are *.mgw files and when i want to open it i get the message “no cores available”, when i try to open it without autodetection of the retroarch crashes and i am back in the fire tv interface. I really tried a lot … reinstall, reboot, checked the directory and much more … i have no clue what i can try else. I tried a lot but it just wont work … i am quite desperate spending hours and hours without any success. I had 1.2.2 on my fire tv stick running and working. I uninstalled and installed 1.3 … now I cant open any of the downloadable content (donkey kong, mario, …) – all are *.mgw files as far as I see and when i try to open them with the automatic core detection feature i get the message “no cores available”, when i try to open it without the feature retroarch just crashes and i am back on fire tv and can restart RA … what can be the reason!? I really tried a lot … reinstall, reboot, downgraded, updated, checked the directories and so on … I have NO clue what I can try else … i guess there is something corrupted but i have no idea what I can try more. to download cores you can go to updater/core updater, and download the G/W core for mgw files. PS3 1.3 version not working! Kmeaw 3.55 CEX. My game controllers work with the psx emulator but when i try to use the snes or the N64 the controllers do not work at all and then retroarch just closes out when i hit the menu combination (L3-R3) please help is there something in the settings i need to adjust? I do not need these files included in the RetroArch file. Downloads, Saves, States and System. Because I have to delete the RetroArch File regularly. Because I cant start it. Even if I just reboot my pc and the cpu usage is low, RetroArch wont start. Please help me and fix this. So no Xbox 360 version forever? You couldn’t install RGLoader on your RGH’d Xbox 360? Hi, I’ve been trying to get RetroArch to start for a while now. Ever since 1.0 or whatever came out last year I haven’t been able to get RetroArch working. Whenever I load it, it shows up as a windowe w/white background, and after half a second it gives me the “RetroArch is not working.” This happens in both 86 and 86_64 versions. Tried running debug version but doesn’t give any info when the crash happens. PLZ HELP?? So I’m in the main menu and I can scroll around but I can’t select anything. Is there some kind of key mapping I can look at so I know wat I’m supposed to press to select an option? Otherwise this amazing peice of software becomes useless to me. iOS version works but Android 6.0.1 (cm13.0 latest nighty build) version doesn’t work properly. I am new to RetroArch but I have been playing around with emulators since the mid 90’s. I downloaded etroArch-v1.3.0-x86_64-Windows.zip and add the Reicast (Dreamcast core) had all bin files from NUlLDC. I put everything in system/dc. I cheked the core information and says the Bios is required and Missing. I tried to lauch the core anyway and it crashed. Anyone have a suggestion of what I may have overlooked. (PC is a high end gaming rig). I have tried other Sega emulators and they all work using RetroArc. I’m trying to play PS1 games, but when I try to load the cue file its says No Core Available, even though I have every core available and the ps1 bios. What core should i use to play cave mame roms in retroarch?? Can you please release a brief and simple guide to setup Retroarch? I am having problems. Hate to be that guy – but if you don´t mind me asking – do you have any rough ETA on an tvOS version? Retroarch on the ATV will be the best thing ever. Thanks for all the hard work! Will REiCAST ever work on Wii? I know it probably won’t have the smooth running graphics as Dreamcast does but it would be epic to play Shenmue on Wii.